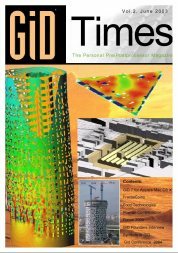 The GiDTimes magazine intends to present an entertaining overview of successful applications and recent developments of GiD. 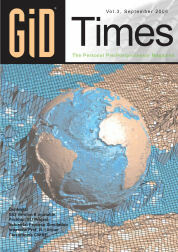 GiDTimes is the communication channel within the GiD community. Printed copies are available upon request. We are preparing the contents for the next volume and we would be very appreciate knowing your preferences. You are also invited to share with us your results and present them in this next issue. A nice photo or any of your personal tricks with GiD would be an excellent contribution! Send us your opinions, comments and suggestions at gid@cimne.upc.edu. The long awaited second number of the magazine is published. A new channel of communications has been created for the GiD Community. 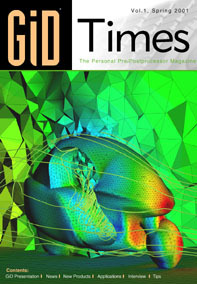 It is a recent born magazine called ‘GiDTimes’ and you are welcome to participate in it.